Measure out the rice (4 cups) and put it in a Ziploc bag with about 2T of food coloring and 3 T of rubbing alcohol. The kids can help you mix the rice in the bags to spread the color. Allow them a bit of time to dry. 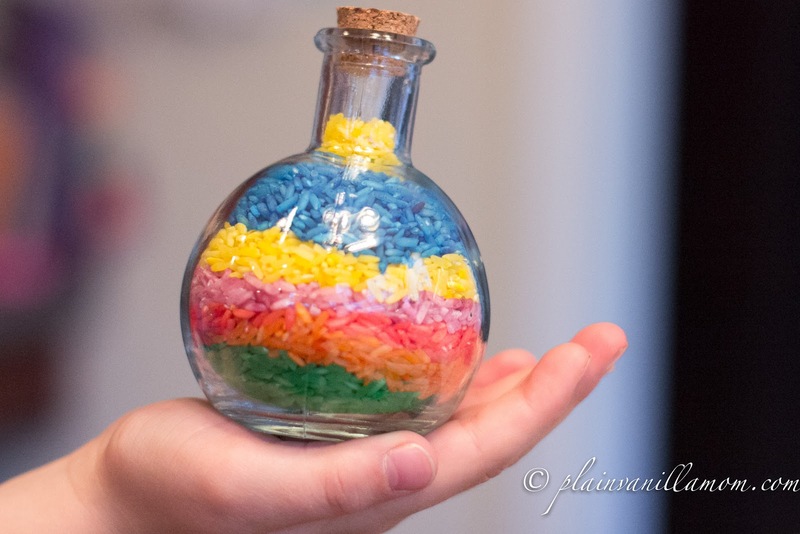 For older children, this is a great art activity in bottles or making pictures or mosaics. The possibilities are endless! Please share your colored rice activities! This is so cool. I'm not a kid (except at heart), but it looks like a lot of fun to me. Lots of things to make and so easy. Do Your Kids Love Lego's?? ?